Are you a supplier, warehouse manager or vacant facility with unneeded metal parts and fixtures? We provide roll-off containers and advice on best practices for your recyclable parts. 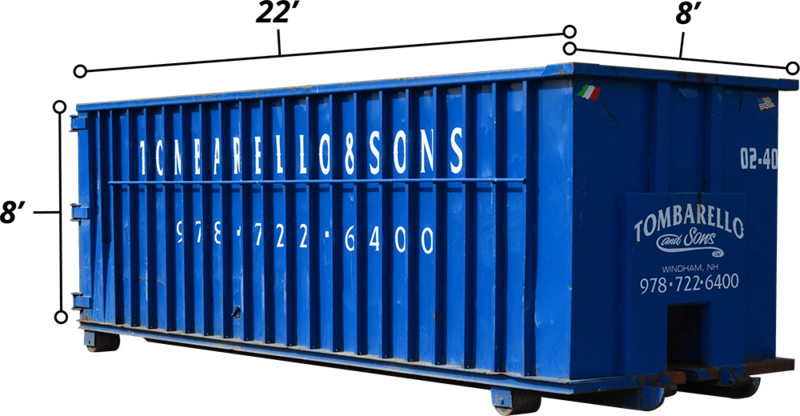 We are a full-service scrap metal recycler, proudly providing suppliers, warehouse managers and vacant facilities all over New England with roll-off container rentals. We rent 15 yard, 20 yard, 30 yard, and 40 yard roll off dumpsters for scrap metal recycling. We pay competitive scrap metal prices for all metal parts and fixtures. When you have to dispose of large amounts of metal, choose us. Tombarello and Sons Inc. provides distribution centers, suppliers and warehouses a cost-effective way to market recyclable resources. We will help you optimize your material preparation, maximize container placement and coordinate pick-up schedules at your location. Let your scrap metal materials go to work for you. Tombarello and Sons Inc. has the perfect size and ideal container for the job. Call Tombarello and Sons Inc. at 978-722-6400 to recycle your scrap metal today, including full service roll off dumpster rental, delivery and pick up service.